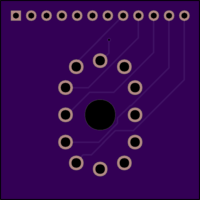 2 layer board of 1.31 x 1.31 inches (33.2 x 33.2 mm). Uploaded: April 12th, 2017 03:50. 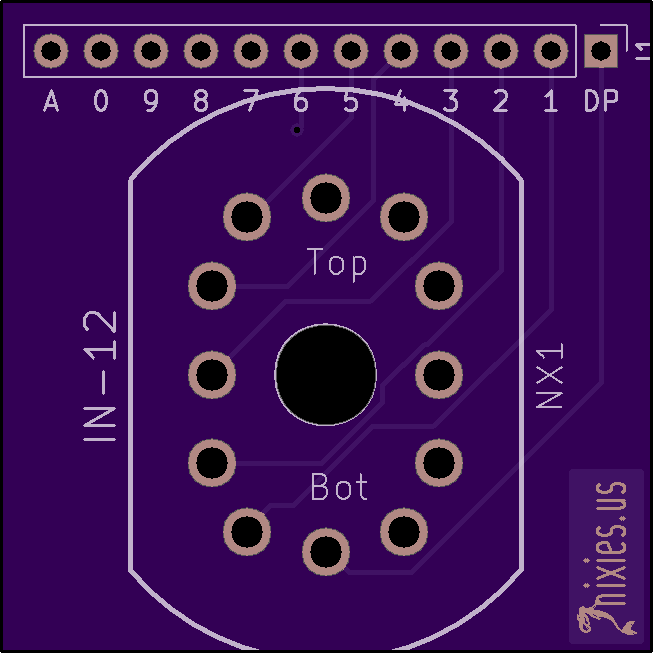 Breadboard adapter for IN-12 nixie tube using female D-SUB pins. The IN-12 has 1mm pins that plug in to a socket. 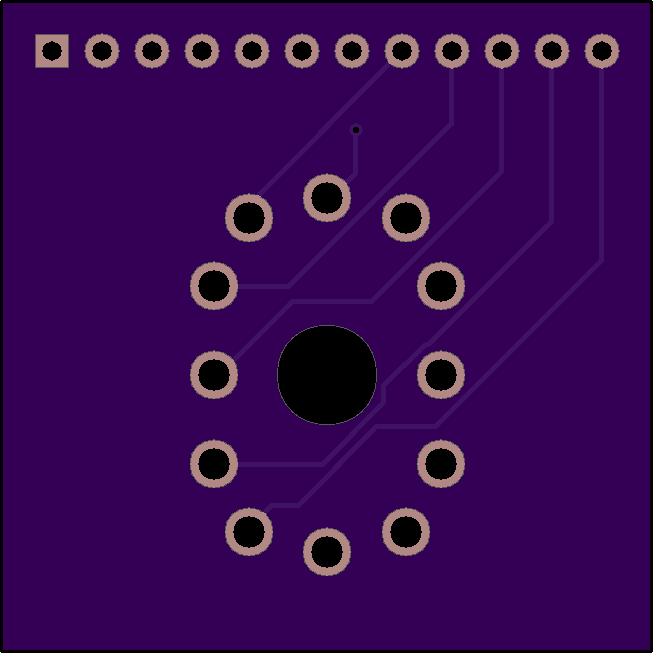 This board is intended to use female D-SUB pins as a ‘socket’. These are often listed on eBay as ‘tube socket pins’. 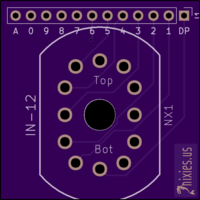 There is a pin for the decimal point - this is for use with the IN-12B. See my web site for a complete list of all my Nixie tube adapters.